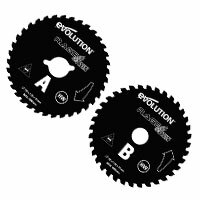 All Evolution multipurpose TCT saw blades are made in Japan and are of premium quality and performance. 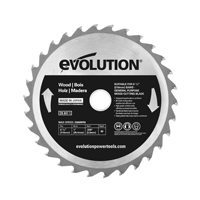 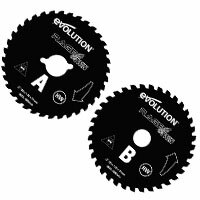 Designed specifically for Evolution RAGE® saws, these blades are ideal for the construction professional and for daily use on a construction site. 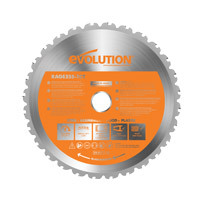 Designed to cut mild steel*, aluminium, plastics and wood, even wood containing embedded nails with a single RAGE blade! 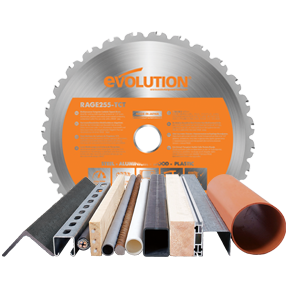 Perfect for cutting hard & softwood, decking, laminate flooring, mild steel angle, unistrut and conduit, plywood, mdf, aluminium checker plate, plastic pipes and sheet, plus many other materials. *Please refer to the blade marking for recommended cutting capacity on mild steel. 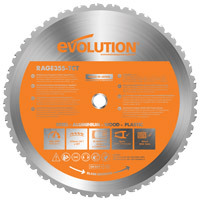 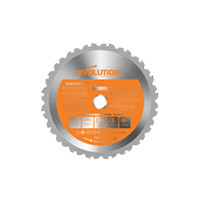 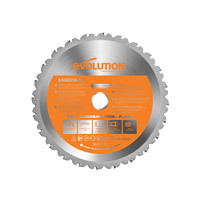 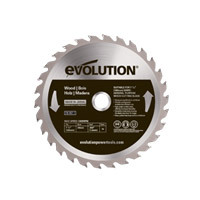 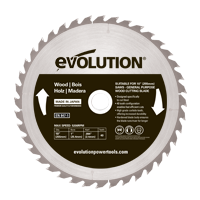 **RAGE® multipurpose blades fit on Evolution RAGE® multipurpose saws only.